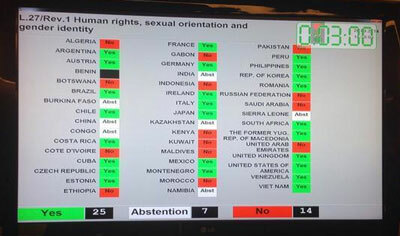 (Geneva, September 26, 2014) – The United Nations Human Rights Council resolution on combatting violence and discrimination based on sexual orientation and gender identity (L.27/Rev.1), adopted today, Is a critically important achievement for upholding the principles of the Universal Declaration of Human Rights, 25 human rights groups said today. The resolution follows a resolution adopted three years ago in June 2011, when the Council passed the first ever UN resolution on human rights violations based on sexual orientation and gender identity. Brazil, Chile, Colombia, Uruguay, and 42 additional co-sponsors introduced the resolution. In its presentation to the Council, Chile stated that “this resolution does not seek to create new rights…there are some whose rights are more violated and need more protection.“ Colombia added “the report that we request is part of existing international law.“ The resolution survived a total of seven hostile amendments, introduced by Egypt on behalf of ten States, seeking to strip the resolution of all references to sexual orientation and gender identity. Brazil stated that the proposed amendments would “seek to radically change the purpose and focus of the resolution and changes its substance.” Ultimately, the resolution was passed by a vote of 25 in favor, 14 against, and 7 abstentions, with support from all regions and an increased base of support since 2011. 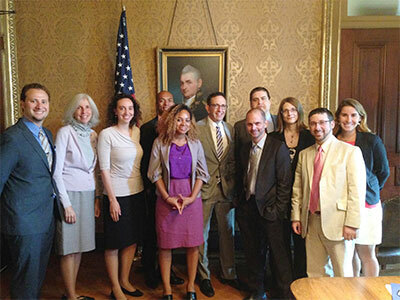 “The leadership of these Latin American states reflects strong commitment to human rights for all and follows the significant progress that is being made by governments and lesbian, gay, bisexual, transgender, transsexual, travesti, and intersex activists in the region,” said Andres Rivera Duarte from the Observatorio Derechos Humanos y Legislación, Chile. The resolution asks the High Commissioner for Human Rights to update a 2012 study on violence and discrimination on the basis of sexual orientation and gender identity (A/HRC/19/41), with a view to sharing good practices and ways to overcome violence and discrimination. The resolution expresses grave concern at acts of violence and discrimination in all regions of the world committed against individuals because of their sexual orientation and gender identity. This resolution demonstrates that this issue remains on the agenda of the Human Rights Council and sends a message of support to people around the world who experience this type of violence and discrimination, said the 25 groups. We write to follow up on our letters of April 1 and May 6, 2014, regarding concerns about discrimination in Uganda’s health sector and the World Bank’s delay of its US$90 million loan. We, once again, welcome your commitment to ensure that there is no discrimination in World Bank financed projects in Uganda and public recognition that discrimination is not only wrong, but undermines economic growth. 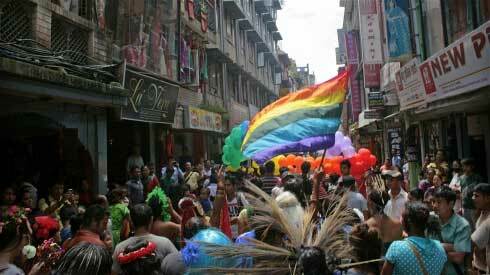 BANGKOK (IRIN) — In recent years, the world has seen enormous human rights gains with respect to sexual orientation and gender identity and expression. However, there have also been substantial setbacks — ranging from discriminatory legislation, to impunity for brutal violence against lesbian, gay, bisexual, transgender, and intersex (LGBTI) people. 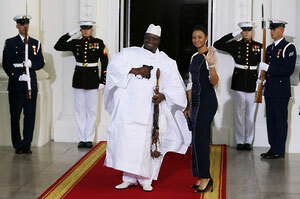 (Dakar) – President Yahya Jammeh of Gambia should not sign a new Criminal Code amendment that would increase the punishment for “aggravated homosexuality” to life in prison, Amnesty International and Human Rights Watch said today. The measure would further add to the climate of fear for lesbian, gay, bisexual, transgender, and intersex (LGBTI) people in Gambia.